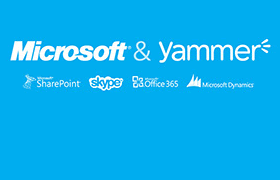 After numerous rumours, Microsoft has announced that they have acquired Yammer for $1.2 billion in cash to bring enterprise social networking into the Office fold and possibly to align with Skype in the future. The move sees the Redmond-based software giant continue to solidify its enterprise dominance with MS Office, and continue to buy-in cross-platform social tools to aid in that effort. Yammer already has five million corporate clients on its books and is widely discussed as a Twitter/Facebook-like social tool for using within a company network – with the tool already integrated into Microsoft’s Sharepoint. It is, therefore, a good fit with Microsoft, and whilst the Yammer team may be staying in San Francisco, the business will become an integral part of the Office division. The acquisition of Yammer adds best-in-class enterprise social networking to Microsoft’s growing portfolio of complementary cloud services; world-class talent that knows how to deliver rapid innovation in the cloud; and a unique adoption model that appeals directly to end users. 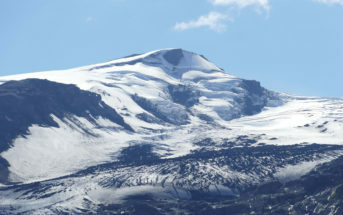 It is unlikely that Yammer will be integrated into Office 2013 as a public beta of the software is expected as early as next month, but the social tool may well be offered as a free upgrade at a later date as well as being integrated into Office 365 – Micorosft’s cloud-hosted office suite. What will be interesting will be how Microsoft intends to integrate Skype and Yammer – it’s two social entities that it has now brought together. It is likely that profiles within the two services may be united, so that a person may be “yammering” with other colleagues and then be able to turn that into a VoIP conference call within a single click if more needs to be discussed. This will be a little way down the line however.